The first building in Detroit to resemble a Zoo showed up in 1883 when a traveling circus abandoned the animals after going bankrupt. A local Detroit citizen named Luther Beecher bought the animals and built a large structure near Tiger Stadium to display them. He named it the Detroit Zoological Garden. The Garden had to close the next year because of financial problems and because people were stealing the animals. PEOPLE WERE STEALING THE ANIMALS. I looked, but I can’t find what types of animals were being stolen, but all I can think about is people sneaking giraffes and hippos out the front door. This single fact may be the best thing I ever put on this blog. 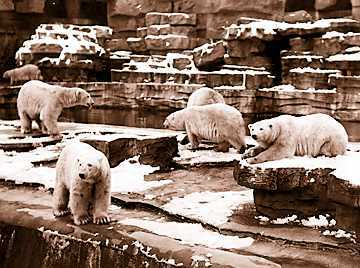 The Detroit Zoo opened August 1, 1928. It was the first zoo in America that used simulated environment as barriers rather than bars. Not all of the areas of course, I still remember a bunch of the old school concrete and bars exhibits; but there were a good portion of the exhibits that used moats to keep the animals in their enclosures. On the zoo’s opening day the mayor came in the back way and a polar bear jumped the moat. He laughed walked towards it until keepers got there. No offense to John Nagel, but how the hell do you not realize that a bear is dangerous? Pauline the elephant was the zoo’s first animal because they used her to help with the construction. In 1938 the paper reported that to cure the chimpanzee’s winter colds the zoo used 20 year old cognac. In WWII residents who lived near the zoo and had firearms were trained to destroy any animals that escaped if the zoo was bombed. In 1968, the Penguinarium in Detroit was the first building in the US designed to house penguins. That’s enough about the rest of the zoo, we need to get back to the monkeys. 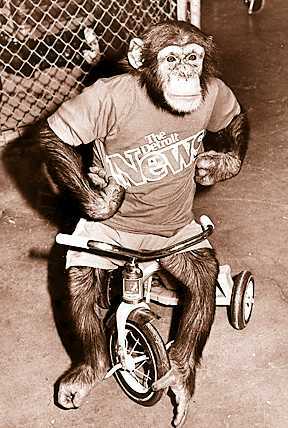 I already mentioned the chimpanzee show started in 1932. That was because the zoo director John Millen used his own money to buy Jo Mendi. Jo was already famous from movies and Broadway and was apparently quite the celebratory when he started his show. The Detroit News said the act consisted of Jo counting his fingers, gets dressed, laces his shoes, dances, waves to the audience, pours tea and drinks it. While at the zoo he then began roller skating , bicycle riding, tightrope walking, and other feats. Jo got sick from hoof and mouth disease in 1934; he was six. It was reported that Jo died clasping the hand of John Millen who sat at his bedside while Jo was sick. Again the Detroit Zoo has not done chimpanzee shows for a very long time. I was only six in when they stopped in 1982, but I remember Jo-Jo. Sure I would discover Cheeta, Bear and Lance Link later, but Jo-Jo was my first monkey love. 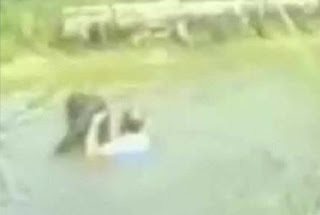 A few years later a man named Rick Swope dove into a moat to rescue a drowning chimp named Jo-Jo. 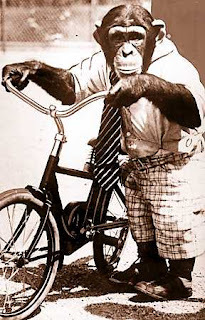 I don’t know if he was one of the performing chimps, but I’m thankful for Mr. Swope’s actions anyway. *I realize that chimpanzees are primates and not monkeys. I’m still convinced that primate is Latin for big monkey.